Home » Help us reduce our waste! Please note that only takeaway coffee lids can be recycled, the cups go in landfill because of the wax coating. Sadly not all of our waste is recycled in Australia even when we separate it properly! 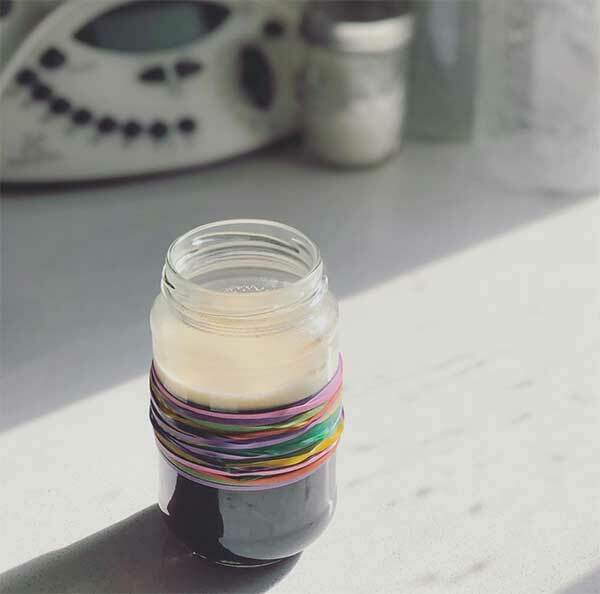 We encourage reusable containers for food, drinks, and art supplies, washable straws, reusing rubber bands and you could use Sarah Wilson‘s simple coffee cup idea – a jar and rubber bands!